I think I mentioned in my last post I've been working away here on some new crafty makes and am really excited to be launching and sharing them with you today. 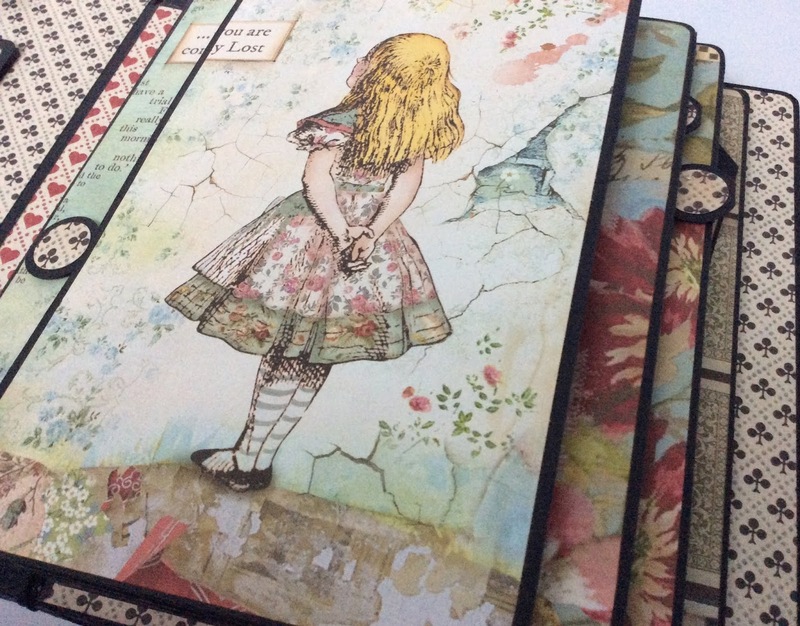 We're launching a new range of basic album kits, perfect if you love the creative process of making albums but just want a bare base to create your own freestyle pages on using your own papers and supplies. The first in this new range is the Wide Folio Album. This new look album has a wide spine, four folding pages that have magnetic closures and a new page style that allows the pages to lay flat as you turn them. The album measures H: 8 1/4" W" 6 3/4" D: 2" - a perfect size for 8 x 8 papers. 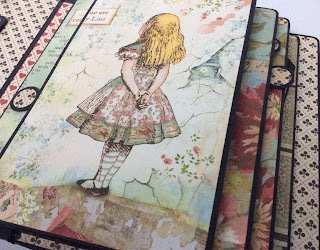 I've also released a PDF Tutorial and complete kit for the album decorated in the Alice papers by Stamperia. Once you add papers to the basic album it gives it character and brings it to life. 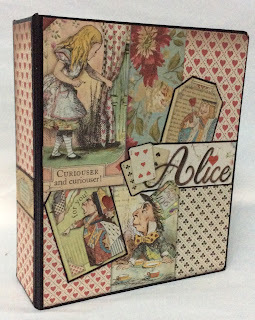 Do watch the video below to see the album style and how it looks all dressed up in the Alice papers. Links to the PDF Tutorial and Kit are below the video. 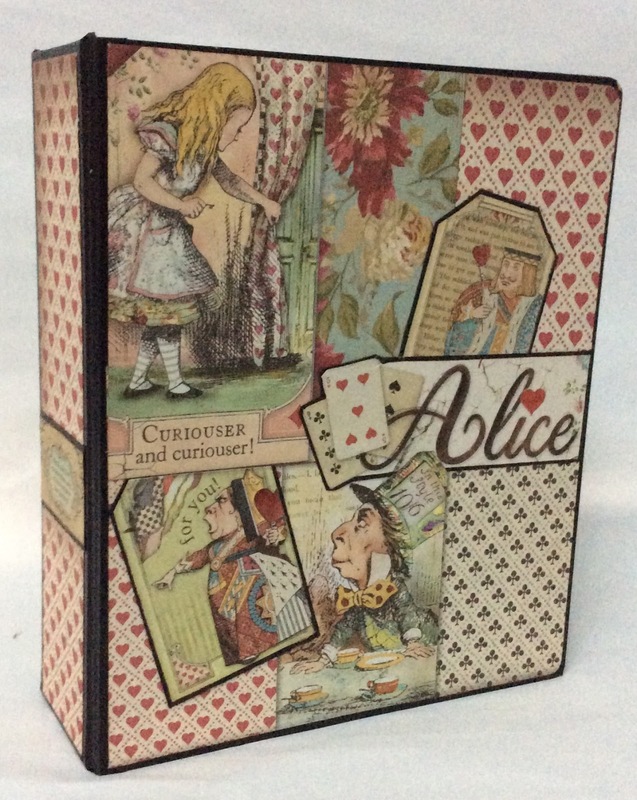 If you love Alice in Wonderland we have the Alice paper pad in stock on the website. Click here to view.